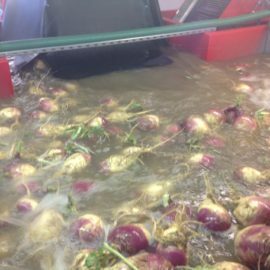 If you're looking for robust and reliable swede weighing, grading, washing and handling equipment, Tong offers unrivalled expertise in quality design and manufacture of swede handling equipment, for gentle and efficient handling of all types and sizes of swede and turnip. 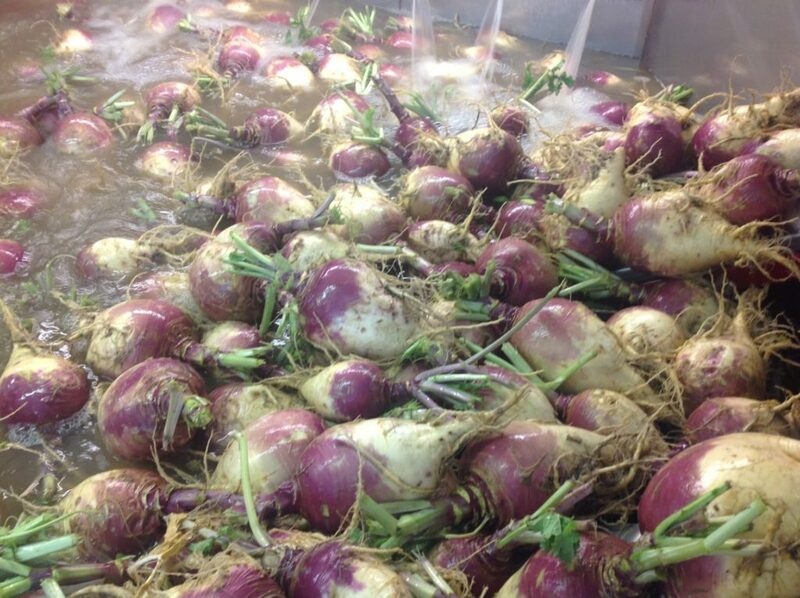 With over 85 years of experience in designing and manufacturing quality root-crop handling solutions, Tong offers a wide range of post-harvest swede washing, grading & handling solutions. 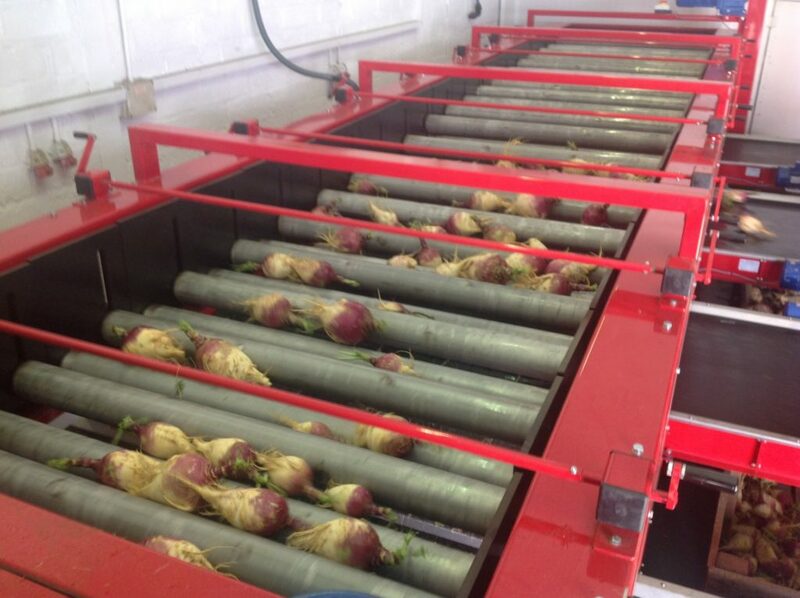 Our vegetable washing equipment in particular has proven to substantially reduce handling time. 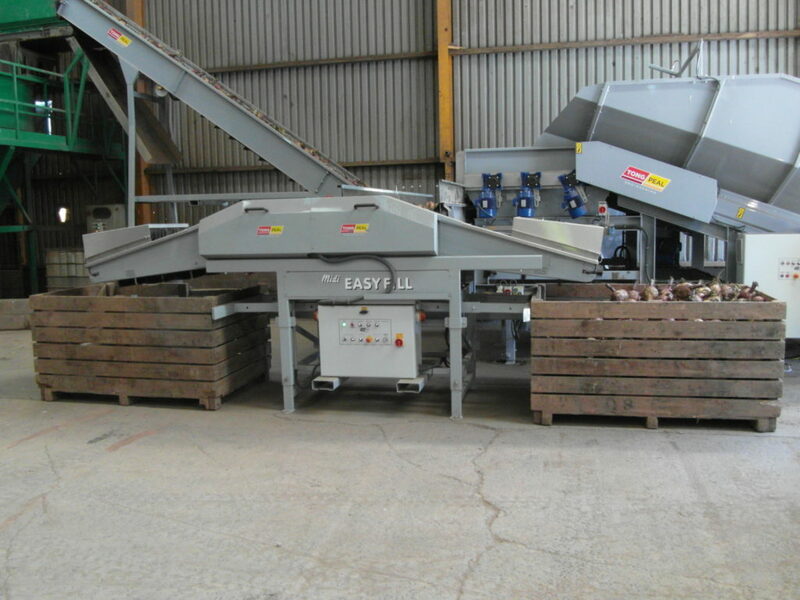 From heavy duty lift roller graders for effective swede grading, to robust swede washing equipment and vegetable destoners, Tong can manufacture a swede handling system to suit your specific requirements. 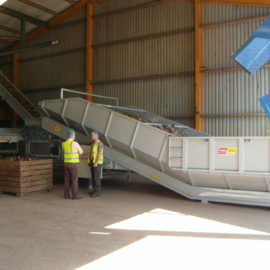 Are you’re looking for a stand-alone swede conveying machine, or a complete swede cleaning, grading and washing line? 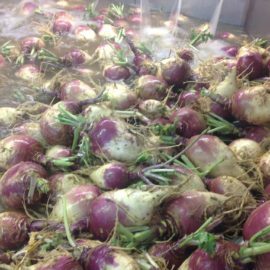 Tong is dedicated to working closely with clients, manufacturing swede handling systems that perform in the most demanding swede processing situations. 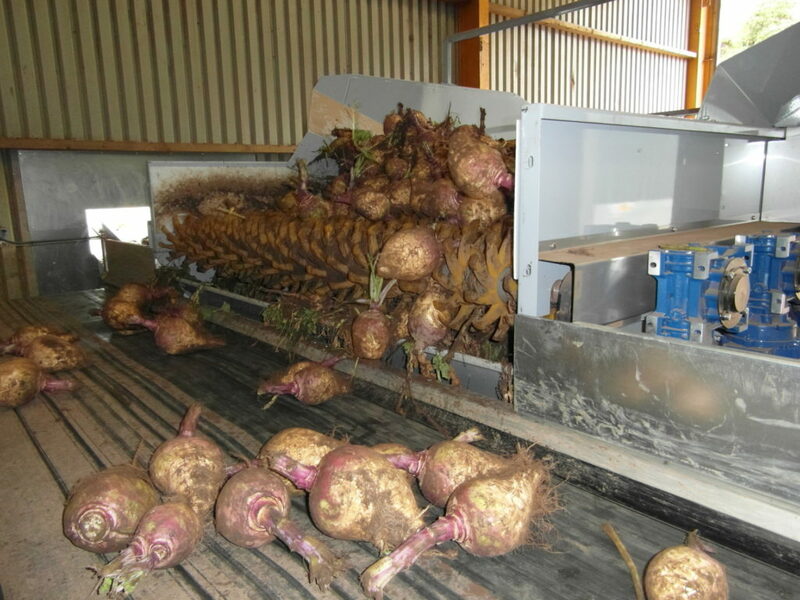 We recently worked with Dart Fresh to install two large-scale swede handling machines to meet their growing demand – view the case study here. 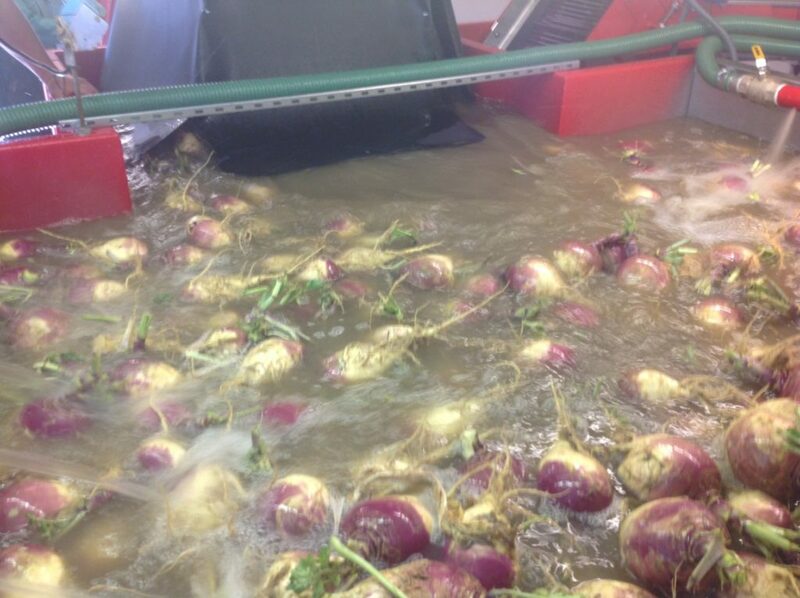 Tong’s range of swede grading equipment ensures crop is handled gently whilst offering accurate grading results. The most popular choice of swede grader is a lift roller grader, which is designed and manufactured specifically for larger grade-band requirements associated with grading swedes. Built to a robust and heavy duty design, Tong’s swede graders size crop by width/diameter using a series of forward moving grade rollers; one bed of fixed bottom rollers and a top bed of height adjustable rollers. 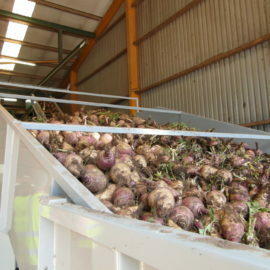 Swedes are gently yet accurately graded as they pass over the grader’s rollers, with smaller swedes passing through the grader first, and larger swedes carrying over to the larger grade bands. 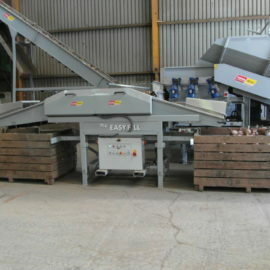 Grade conveyors within the swede grader receive graded crop. 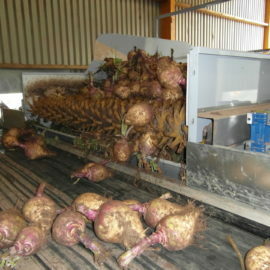 For more details on Tong’s swede graders, please click here. 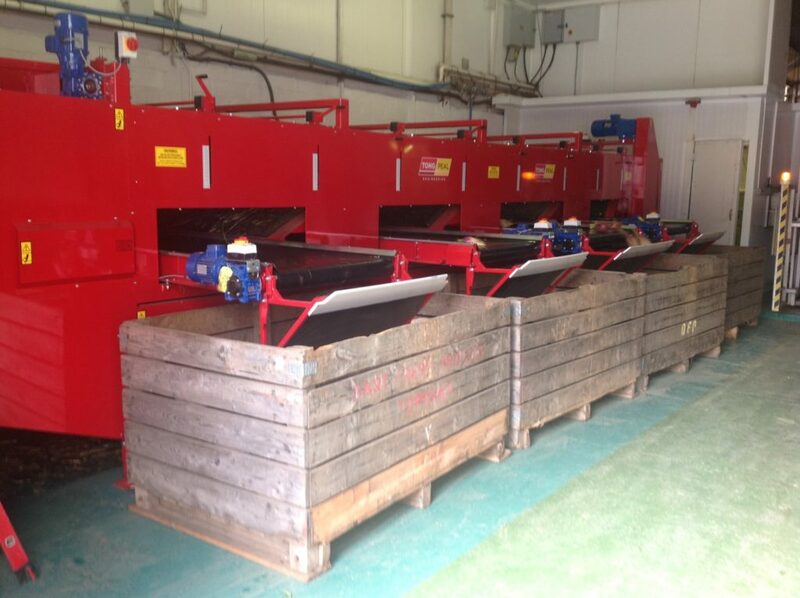 Tong manufactures a wide range of swede destoners for the effective removal of stones from crop prior to processing. 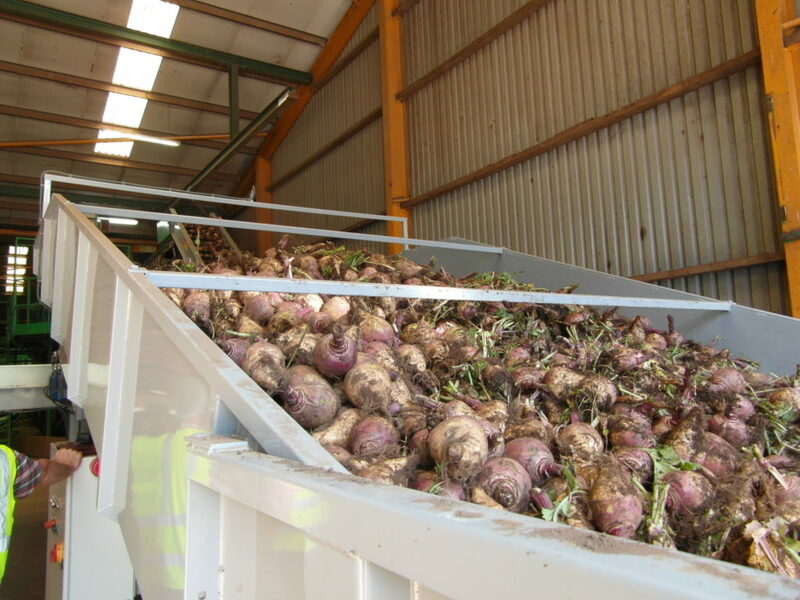 From Tong’s latest cyclone destoner to economical flume vegetable destoners and fully integrated barrel washer destoners, Tong can offer a swede destoning solution to suit all budgets and throughput requirements. 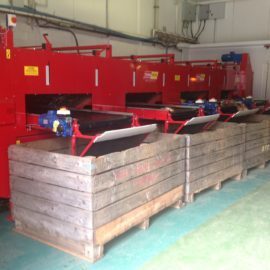 For more information on Tong’s range of swede destoning equipment click here. 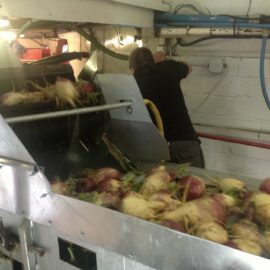 For effective washing of heavily soiled swedes, a pre-soak tank fitted before the swede washer can help to loosen heavy soil prior to washing. Tong’s swede washing machines are built to offer high capacity soaking of swedes for the most effective results, and can be designed to incorporate a fresh or recirculated water rinse bar as well as a floating debris remover to increase longevity of water within the tank. Tong manufactures a wide range of swede washing machine equipment, with standard models ranging from throughputs of 1.5 tonnes to 30 tonnes per hour. 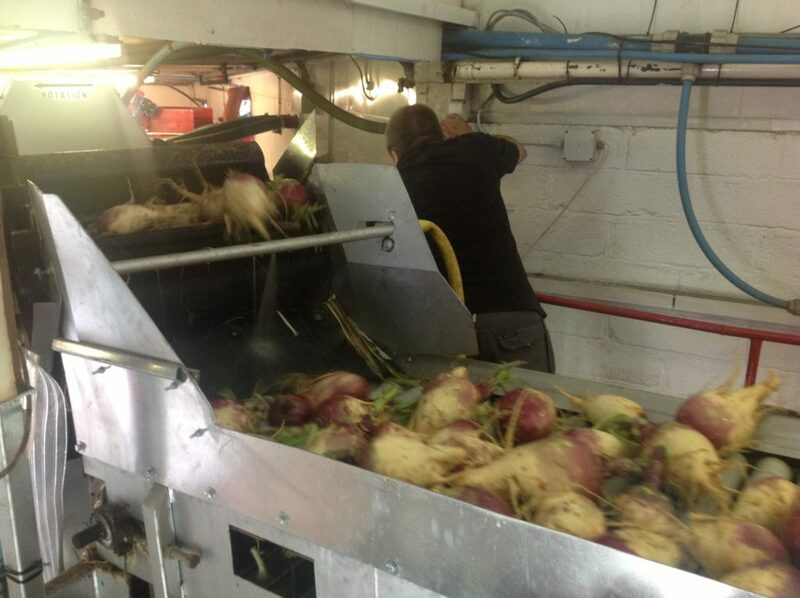 Built with robust construction and easy maintenance in mind, Tong’s swede washing machine products are designed to gently wash swedes as they pass through the vegetable barrel washer, ensuring a high quality washed result. 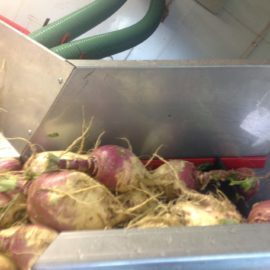 They are often fitted with a close-coupled swede destoner which is integrated within the washer tank, to remove stones from swedes prior to the washing process. To view Tong’s swede washing machine models and options please click here. 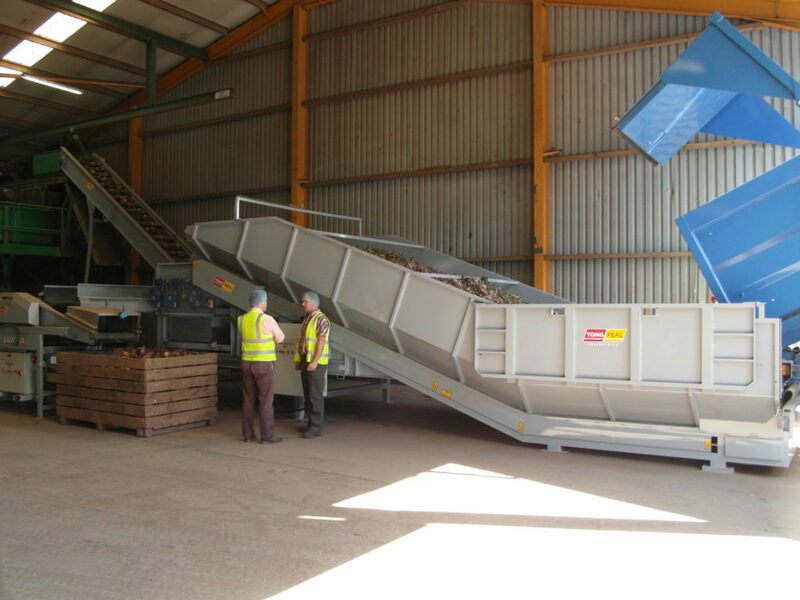 Suitable for swede conveying straight from the field, Tong’s heavy duty swede hopper systems are built to the highest standards and are often specified with a specially designed swede cleaner, consisting of PU stars or Tong’s market leading EasyClean separator. With heavy duty steel gauge design consisting of chain and lathe construction and extra heavy duty chains with a dual driven shaft, Tong swede hopper offers the very best quality, reliability and performance. 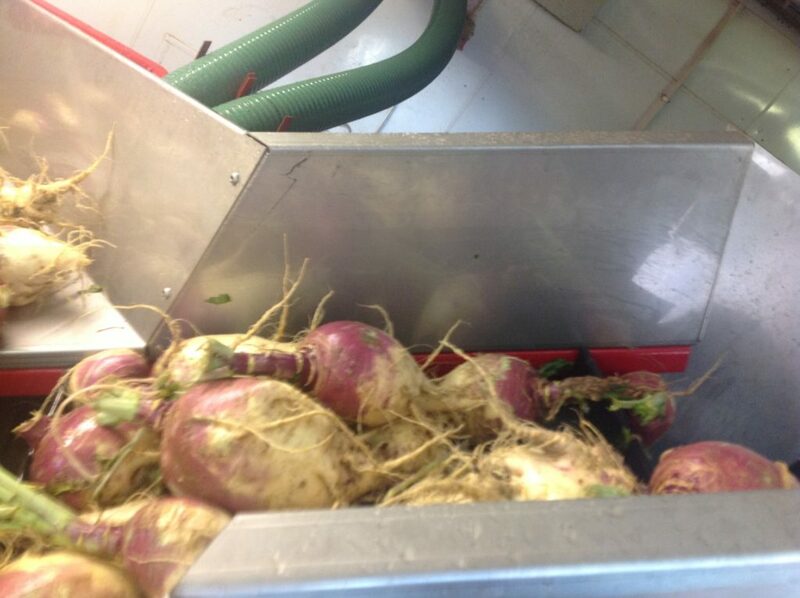 Click here to view Tong’s range of hoppers suitable for effectively handling swedes. 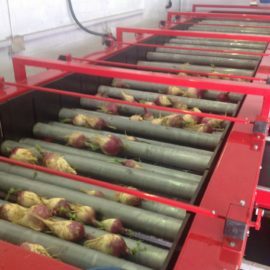 Tong Engineering has over 85 years of experience in manufacturing robust and reliable vegetable handling equipment, from single machines to full bespoke systems. With a wide range of standard swede handling machines and models, as well as custom-designed solutions, Tong can offer a quality handling system that suits any requirement, however large or small. Built to perform under the most demanding situations, Tong swede handling equipment can be built to suit all throughput requirements, whether you are looking to process one or one hundred tonnes per hour. At Tong, we are dedicated to working with our clients to help you make the right purchase. If you have any product-specific enquiries or questions regarding any of our products please fill in the boxes below and we will get back to you within 24-48 hours.